"The show was an amazing success. The room was awfully dark, but this picture shows off the banner very well. 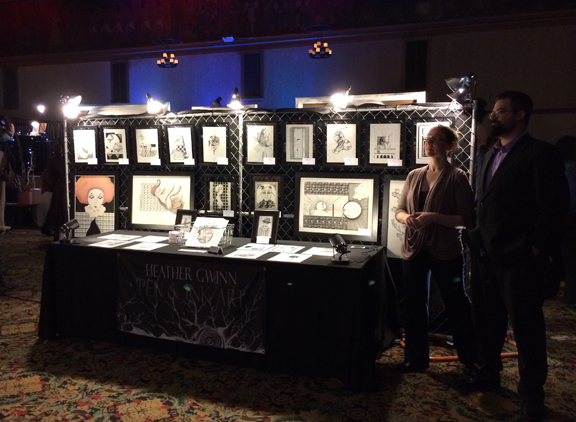 I received several compliments from other artists at the show and passed your information on to several folks who didn't have banners of their own! Thanks again!" Thank you for sending over the photograph! We're so happy that you loved your fabric banner. We look forward to working with you again. If you need help with your event, please contact us! We can help you create a custom booth display.